I was never a fan of sushi! 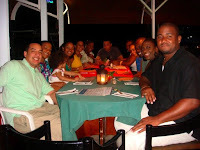 In the New Year of 2009, I went to dinner in St.Lucia with the group below. Laughing. 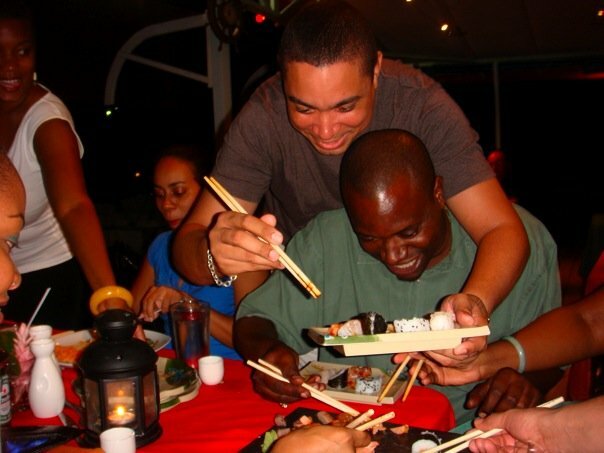 Every time, the sushi platter was laid on the table ... it was bedlam! The tourists were looking at us, like none of us had ever seen food before. 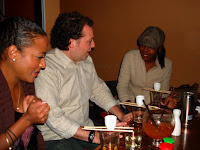 I was embarrassed, 'though I was one less mouth to feed with sushi! 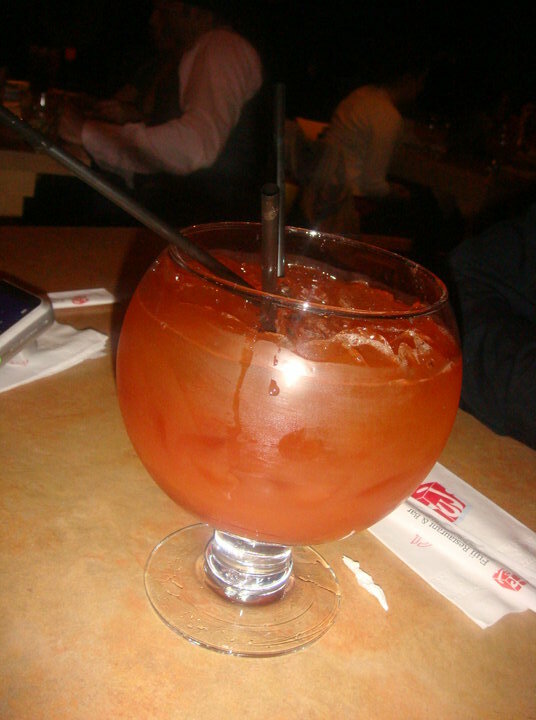 Since then though, every time I visit my girl in Boston, we go to the same restaurant for drinks, a Scorpion bowl is a must and a bite to eat, SUSHI! Ever so often, when I crave their sushi, I can't fly to Boston! 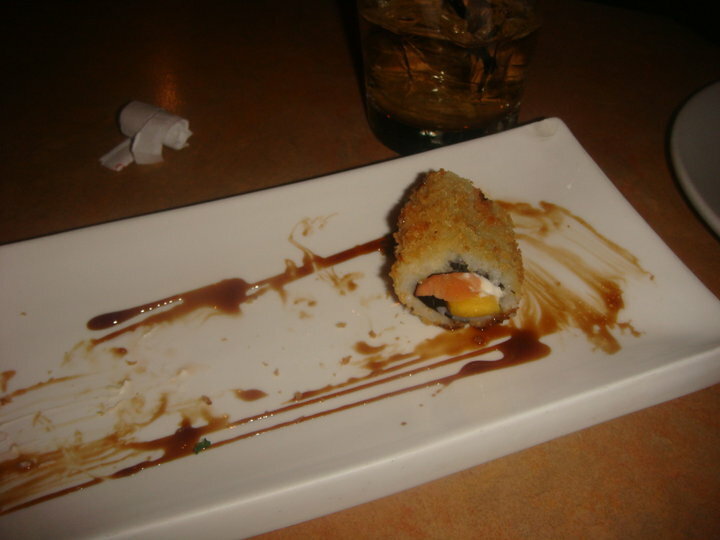 So, the sushi cravings have led me to a Virginia neighborhood restaurant. 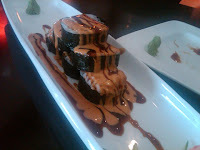 Forget date night, it's become a date luncheon for my husband and I when our daughter is at school. For the hour, I'm oohing and aahing over sushi rolls, particularly the volcano roll, trying to get it in within an hour, just in time to pick her up. 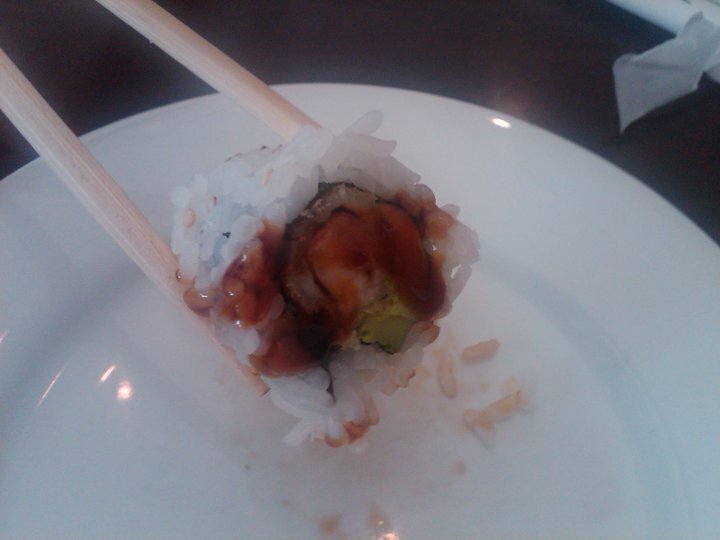 I am so hot over tempura! So tonight, I thought why not learn to make the very thing that excites my palette! 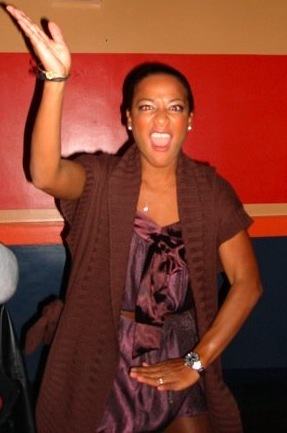 I had to add! LOL!